In the 1940s the second Alder dam was built at La Grande. The town of Alder had to be moved to make way for the lake (Alder Lake) that would be created. 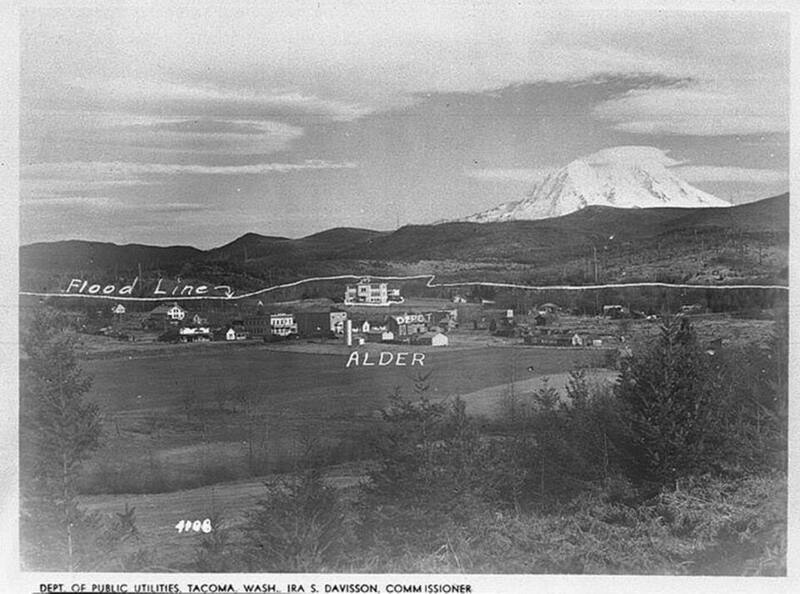 This is the first time I’ve seen a picture depicting where the old town of Alder was, and then the line where the water level would come. “Tacoma Eastern depot is marked on the photo, and the rail grade can be seen. Date and photographer unknown,” Tim Daubert. Photo courtesy of Tim Daubert and the Milwaukee Road-Tacoma Eastern Branch Historical Site.